Take a trip with Sky Dweller. Prepare your meditation space and clear your mind as you are thrown into a third eye opening, body calming, and soul relaxing journey. Mazar, Blueberry, and OG Kush combine to make an uber-elite cut and California staple passed around only the tightest circles known as Skywalker OG. 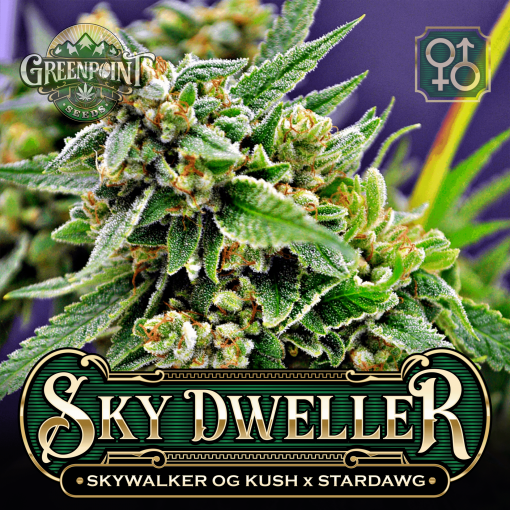 Skywalker OG was used in the making of Sky Dweller for it’s relaxing properties that deliver a sweet Blueberry OG Kush flavor that seems to last on the palate forever. Sky Dweller – Prepare your meditation space and clear your mind as you are thrown into a third eye opening, body melting, and soul relaxing journey. Mazar, Blueberry, and OG Kush combine to make an uber-elite cut and California staple passed around only the tightest circles known as Skywalker OG. 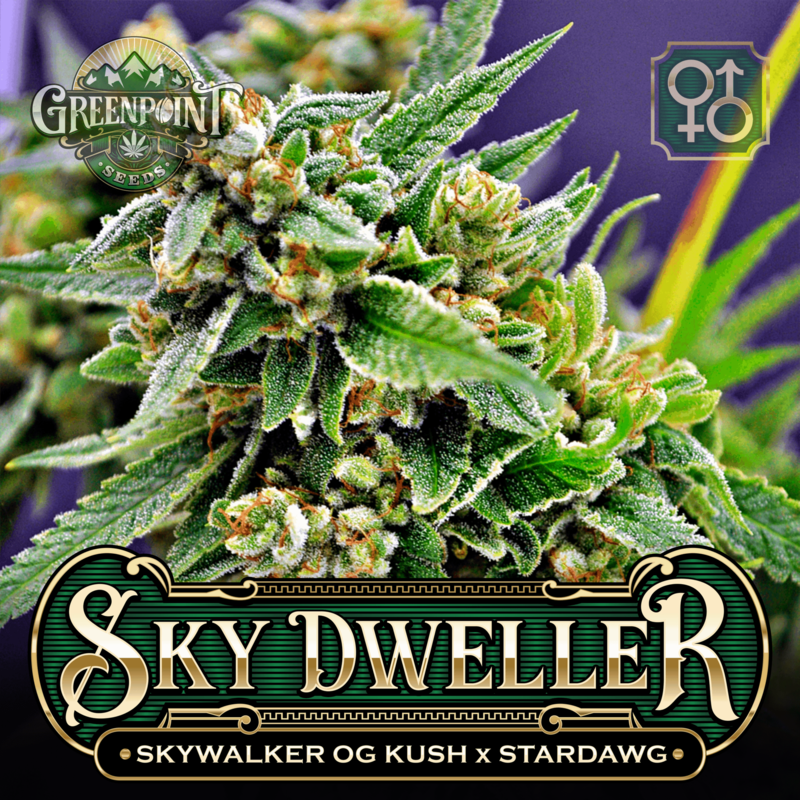 It was this special plant that was used in the making of Sky Dweller for it’s relaxing properties that deliver a sweet Blueberry Kush flavor that seems to last on the palate forever. Growth will be fast and strong with multiple topping needed. Finishing around 9 weeks expect a velvet white coating of resin locking in golf ball sized nugs that reek of sweet and tart blueberries, lemon peel, crude oil and ice cold heavy creamer. 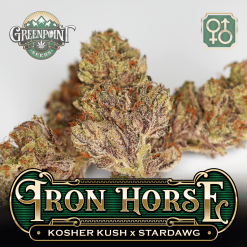 At Greenpoint Seeds, our strains are kept healthy in a biodynamic environment that focuses on plant health and preservation. 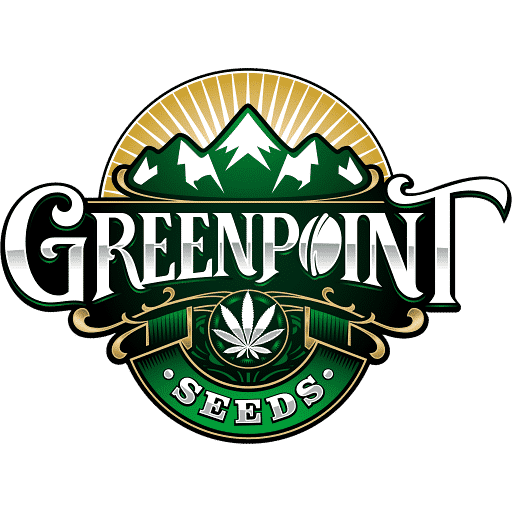 Every seed you buy from Greenpoint Seeds is guaranteed to arrive safe and sound and ready for germination. Discrete shipping and the acceptance of credit cards makes it a no-brainer where to shop. Based in the heart of the USA – Denver, Colorado. 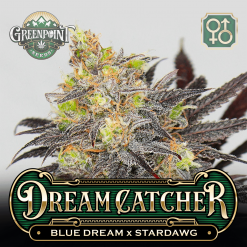 If you are a blueberry strain lover, try Dreamcatcher! They all sprouted, excited about these. Got them on reverse auction cheap! 4 out of 18 people found this helpful. Was this review helpful to you? 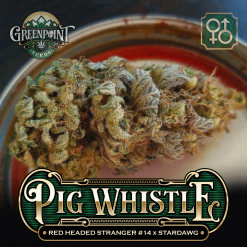 Skywalker is awesome, fruity, funky Kush, with a nicely potent heady high with heavy body at times. 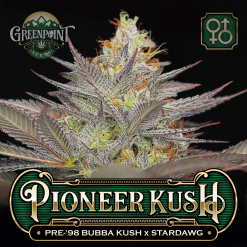 Real American Skywalker is a true OGK, without Mazar and Bluberry in the mix, that’s the Dutch Passion line called just Skywalker.